This book may ship from a different location. Delivery times are estimated at 7–10 business days. Returns should be addressed to Smyth & Helwys Publishing. On Sunday morning wherever you worship, the odds are strong that you occupy a pew with other members of your own congregation who disagree with you about subjects varying from the Virgin Birth to the sacraments to whether or not the Bible is the literal or the inspired, poetic word of God. In one’s own house of faith, people are seldom of a single mind. Despite such differences, there are principles—God as Creator, the centrality of Jesus, grace, and sacraments, to name just a few—that are bedrock to the Christian faith, and these are the subject of Michael Brown’s Bottom Line Beliefs. Though individual denominations, congregations, and Christians may argue about how to interpret particular doctrines, all Christians accept and affirm some interpretation of them as central and vital to the practice of the faith. About each of these principles we say, “I believe in that. It is dear to me. It is nonnegotiable. It is indispensable to my faith." Though we may differ on the nuances of each of these doctrines, we still confess that they are central to our understanding of Christianity. 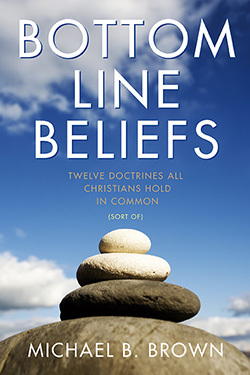 They are the bottom line beliefs that form the body of our shared Christianity. Michael Brown is the new voice at one of America’s oldest existing local congregations, Marble Collegiate Church of New York City (established 1628). In 2009, Dr. Brown became only the third Senior Minister at that church in the past seventy-seven years. 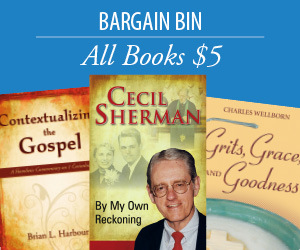 Following Norman Vincent Peale (The Power Of Positive Thinking) and Arthur Caliandro (Simple Faith on the Hallmark Channel), he maintains a commitment to making theological truths plain and accessible to a national audience. Before his move to Marble Church, Dr. Brown was the pastor of Centenary United Methodist Church in Winston-Salem, North Carolina.